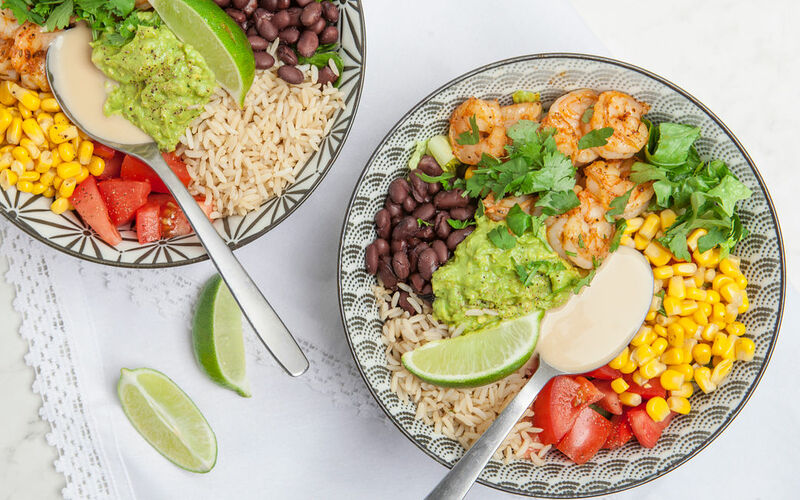 Each bite of these cajun shrimp bowls is sinfully good! 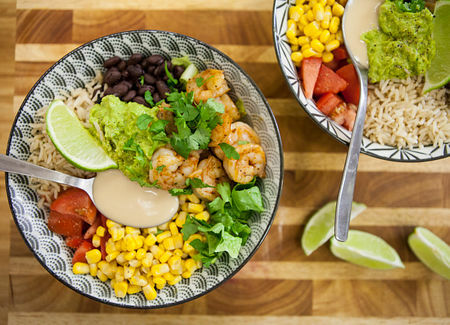 Fresh and bursting with flavour, these bowls are made with brown rice, juicy tomatoes, sweet corn, coriander, black beans, homemade guacamole and a creamy sesame sauce. Rinse rice 2 or 3 times in cold water, drain. 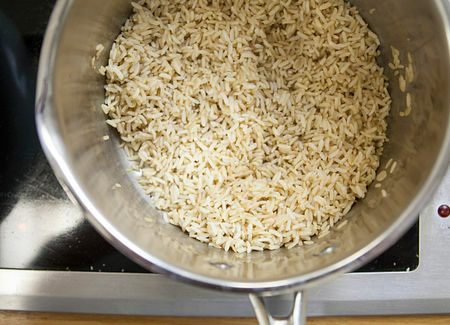 Bring salted water for rice and rice to a boil in a pot over high heat. 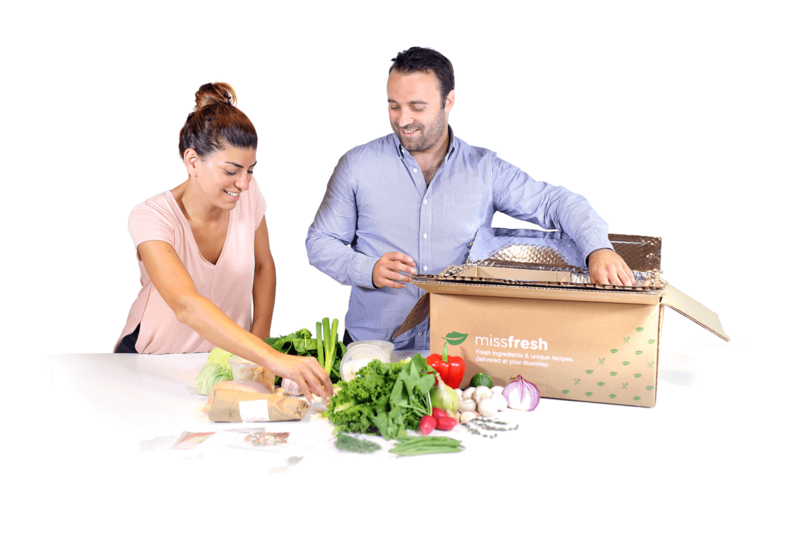 Once boiling, cover, reduce to medium and cook for 12 minutes or until all water has been absorbed. Peel the shrimp and apply pressure to the flesh with a paper towel to get rid of any remaining water. 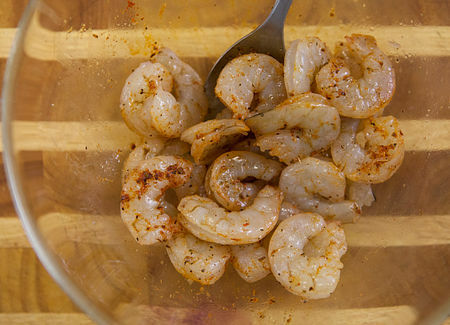 In a big bowl, mix the shrimp with the cajun spices. Season with salt and pepper. 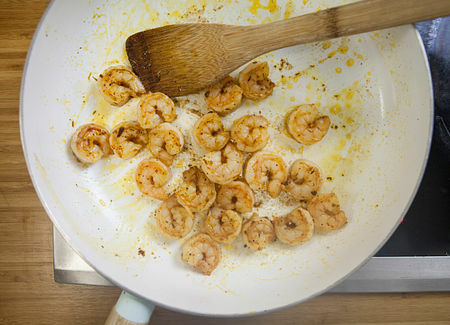 Heat the olive oil in a pan over medium high heat and cook the shrimp for 2-3 minutes on each side. Reserve. Dice the tomato. Drain and rinse the black beans. Cut the lime into wedges. Chop the cilantro. Drain the corn. 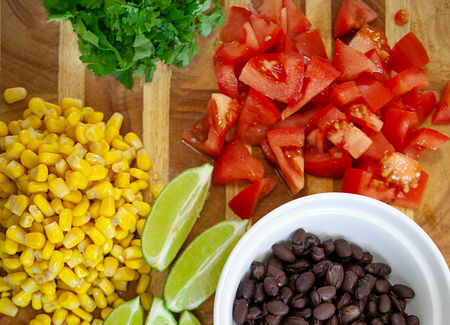 Add mashed avocado, lime wedges, sesame sauce and cilantro.